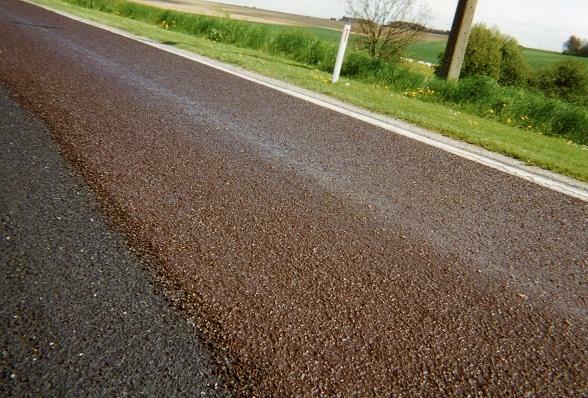 Bitumen emulsions are droplets of bitumen (nearly a micron in diameter) dispersed in water with the aid of an emulsifying agent (soap). On use, the emulsion "breaks" through the loss of water by evaporation and contact with aggregates, leaving the bituminous cement. 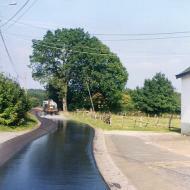 Emulsions can be grouped by their bitumen content and use (sealing, surface dressing, slurry surfacing or mixing emulsion). Emubel manufactures only cationic emulsions whose bitumen content varies from 50 to 70%.